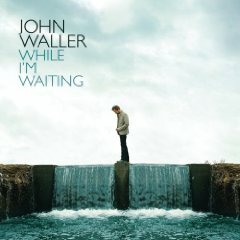 A talented singer, songwriter, and worship leader considered by many to be one of the best-kept secrets in the Christian music community, Waller gained national attention fronting the group According to John. "When the journey came to an end with According to John, I left it behind and I really closed that chapter in my life," says Waller. "I never had any intentions of being a recording artist again. I went about a year without writing any songs." 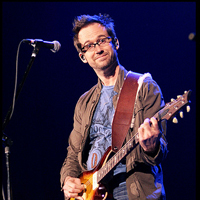 He and his wife, Josee, moved to Colorado and helped launch SouthLink Church, where he became worship pastor. It became an extraordinary season in Waller's life and ministry. And at a time when he had given up "the music business," he suddenly felt more inspired and began writing songs that were immediately embraced by his congregation. The people at SouthLink began clamoring for John to make a CD of his new material. "I was teaching my songs to our worship team and we were playing them in church. They were declaration kind of songs," John says of the new songs God was laying on his heart. "People wanted to go sit in their car and listen to them. They didn't want to wait a whole week before they could hear these songs again. I saw that happening and I said, 'If this could happen with these people then perhaps they are meant for a bigger flock.'" John Waller signed with Beach Street joining an elite roster that includes Casting Crowns and Josh Bates, and began working on his debut CD with Mark Miller and Jason Hoard, lead guitarist from According to John, producing the set. 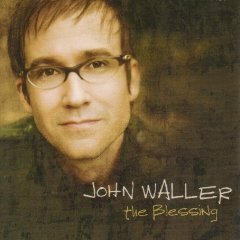 The first single from Waller's new disc is "The Blessing," which features Mark Hall. The lyric is a compelling challenge to other believers to speak positively into the lives of those around them. It encourages us all to choose to be a blessing to those in our lives. "I believe in the power of spoken words," he says. These days John's has a clearer sense of mission than ever before. "God has called me to use my songs to help set people free. It could be from depression or some other strong hold," he says. "I just believe it's about delivering people. I had to be free before I could set people free. I want to help give people a new legacy. God can create a new legacy in their life to pass on to their children. That's what I think my ministry needs to be about."